… welcome to your natural state. Planet earth activism powered by love and compassion. Julie named this dragon ‘The Transforming Dragon’ – it is seemingly a half Eastern and half Western dragon. A gift to Dr Julie Henderson whilst staying at her home and the home of Zapchen Somatics, Napa, California USA 2015. 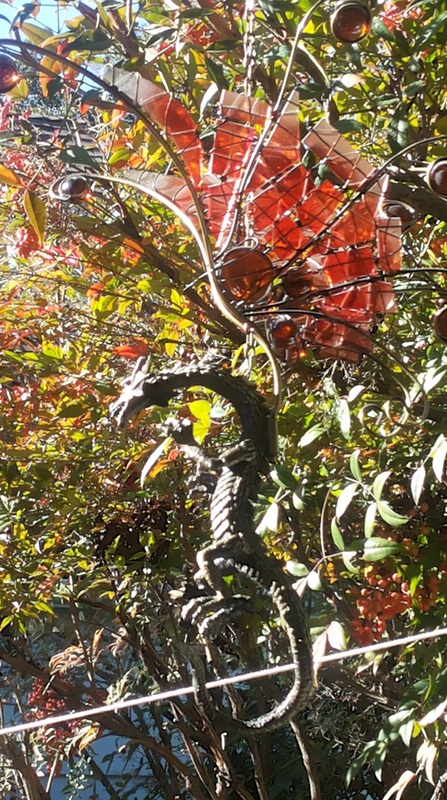 He hangs outside in the courtyard entrance along with other dragons and luminous beings.